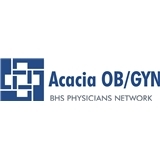 Acacia OB/GYN (Schertz) - Book Appointment Online! It went very well! I was seen almost immediately and the nurses and staff were so friendly. Dr. Ng was personalable before, during, and after the exam. She answered all my questions and provided helpful information that made me feel comfortable and at ease. I am very glad to have gone to her for my annual exam. This was a great physician. The office was warm and welcoming. The receptionist was not. I relocated here a few years ago and had to find a new GYN. I couldn't be happier. She is a great doctor. She makes you feel very comfortable not rushed. Takes the time to answer all of your questions. She was helpful with explaining everything and putting it into terms I understood. I would definitely recommend her to others!!! Very Happy to have found him. He doesn't ever make me feel rushed and always asks if we have concerns or questions. She's awesome ! Very knowledgeable about any questions or concerns you may have . Great with making you feel comfortable. Office staff is also very sweet. Highly recommend her .